One of the very first things I learned about food photography was the “bounce & fill.” It was the first step I ever took to improve my photography (back in my point-and-shoot days). And it is the easiest and probably the most inexpensive way to do so. The concept is simple: You place a white object opposite of your light source to bounce the light back onto your subject, filling in and softening the shadows. You can use just about anything that’s white – a napkin, paper, or a box. My first “reflector” was actually a piece of styrofoam, the kind that comes as packing material with a pricey electronic. The styrofoam was totally free, if you don’t count what we paid for the Xbox 360 inside that same box. The first image of the Homemade Almond Butter was taken without my white board. The lighting is very harsh and, to me, the overall mood is very somber. The second image was taken with my white board about 6 inches outside of the camera frame, standing straight up on the clamps. Better. The third image was taken with my white board just outside the camera frame, tilted at a 45-degree angle towards the food. Being a big fan of “light and bright,” I think this image is best at conveying what I wanted to see – a nice, fresh start to the morning with breakfast. I upgraded to a white foam core board for about $3 – you can find these just about anywhere they sell any type of craft supplies (mine came from Michael’s and I’ve also seen them at Hobby Lobby and Target). Mine is nearly 5 years old and is insanely beat up. But it still works wonderfully. I also snagged a couple of my husband’s wood clamps from his tool chest in the garage. You can get these at your favorite home improvement store. They probably weren’t $3 each. 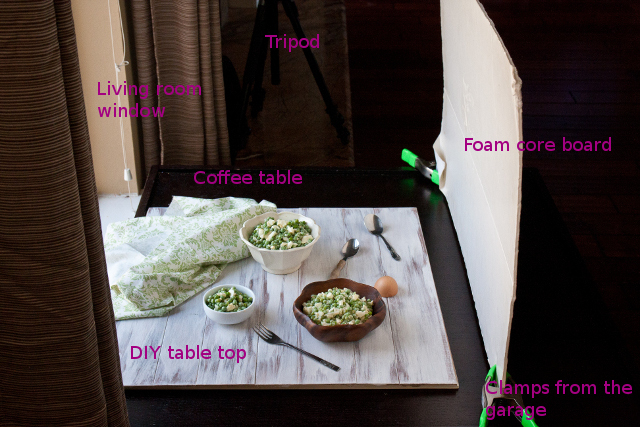 Pinch the clamps onto the foam core board and you’ve got a reflector that stands on its own, freeing up a hand! Thanks for this – really helpful to see how the reflector works. Oh, this is such helpful information! Thank you! I have used a whiteboard before, and it does help. I’ve used everything from a blank canvas to the side of a styrofoam cooler. . . . But the way you put yours together is much more convenient and compact. And I LOVE, love, LOVE, the DIY tabletop. I’ve wondered about doing this for a while, but haven’t quite thought it through enough to figure out a plan of action. I always tend toward more shadows – I guess I like the drama of it. Food is serious business 😉 but I understand that as far as food photography goes, it seems like the general opinion is to try to eliminate them somewhat. Such a great post. Thank you!! I’ve been dying to do a DIY tabletop also! How do you DIY one? Is is regular wood that’s been painted? I’m I need a DIY for dummies lesson lol! Neat! I love seeing behind the scenes work! Thanks for the tips – I may have to try these out soon! this is a GREAT tip! i definitely am going to try it soon! Shawnda, thank so you much – this is so helpful! I always bounce my light but I still see some darkness, especially when shooting on my white background. (Coincidentally I am sharing a post about this next week!) I always have my board standing straight up and never tried tilting it. Maybe this is a silly question but what exactly are you using to support the board when you tilt it? I’d love to be able to try this out. Thanks! For top-down shots, usually my hip 🙂 I put the white board against the lip of the coffee table, and then let it fall onto my side. I’ve also wedged it between the lip of the coffee table and then used pillar candles, bottled water, lots of things to keep it from falling all the way over. Of course, this is when I don’t have Jason to hold it for me. 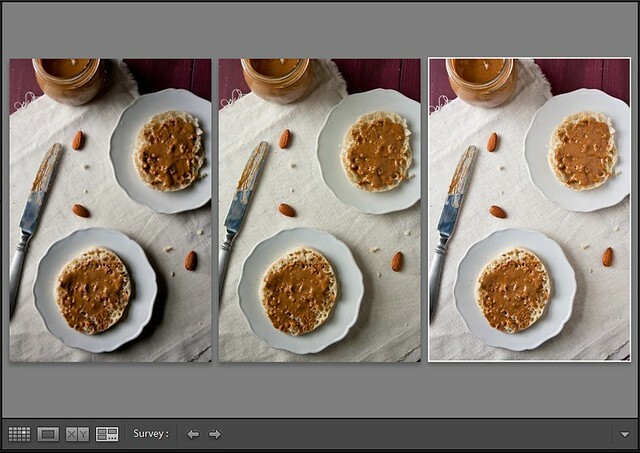 But DEFINITELY play around with the angle of the board – you’ll see just how much fill light you can add or take away. I usually move it around quite a bit before I find that exact sweet spot. And sometimes I do just need that extra set of hands for it to be perfect. I was wondering the same thing as Cara- how do you support the board when you want it at an angle? Awesome tips! Than you for this great post. I love the clamp idea, I am always trying to keep my board up with objects and they tend to fall. This is a really useful tip. I look forward to more! Thanks! Love the “behind-the-scenes” post! I don’t have a blog, but I have thought about starting to blog about my food adventures just to have a place to keep up with what I have tried and a place to keep all my recipes archived. Right now I am just thinking about for personal use. Anyway, posts like this are just so awesome! It gives us that “ahh, so that’s how she does it” moment. Love it! Thank you SO MUCH for explaining “bounce & fill” and all the with and without photos. I always thought expensive lights were needed. Now I can (or at least try to ) take better photos. Thanks! The clamps to hold up the white board are a great idea! Love any photography tips to help better my food photography. Great post! I couldn’t live without my white foam core board! Something so simple makes such a big difference! I use some kind of weirdo foam thing also! I actually shoot mostly in artificial light right now since my windows have been occluded by a monstrosity of a building that just went up next door to mine…and reflection is KEY for indoor light! I need to get one of those huge foam boards though…and raid my dad’s tool kit for clamps. Love these instructive posts! Oh man, I never thought to tilt the board. I am trying this out today. Thanks for always sharing your brilliance! Thank you so much for these tips! Really helpful and accessible. It’s easy to get overwhelmed by all the options, the expensive equipment, etc. This is so simple and cheap! Love it! A question though: what material did you use for the DIY tabletop? Thanks for the tutorial. I’ve been debating about what sort of lighting props I need, and keep putting it off due to space. I think the board and clamps are going to be on my next trip to the craft store. Oh! And, thanks for the photo tips…always. Even if some of the tips are ones I already do, it’s still encouraging to know others (whose photography I adore, like yours) are doing similar things! (Like holding the foam board on your hip.) lol! Thank you for the tips! I use a white backdrop, but I haven’t paid much attention to using it to bounce the light, which explains some of my lighting issues. This really helped. This is SO helpful! Thanks for posting this! Great tips and so important to get that perfect shot! I love how you use little things you find around the house! Great post. I am loving all of your photography tutorials. One question though…how do you manage to get your board at a 45 degree angle and still take a picture? I can use the clamps to set a board upright but find that when I try to angle it I don’t have enough hands! Depending on where I’m standing, I use my hip or knee… or I balance it between the lip on my coffee table and a couple of small vases. P.S. 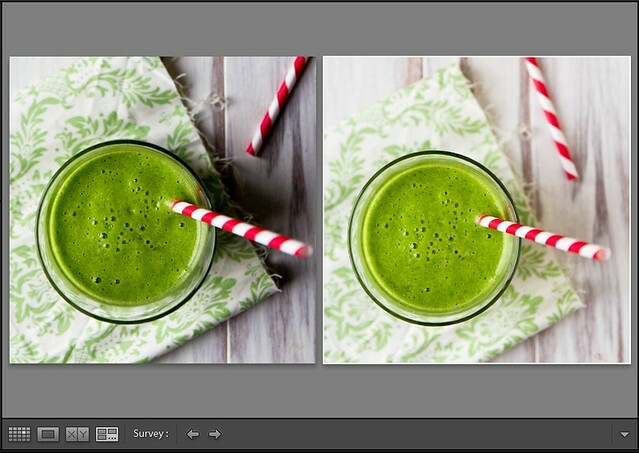 Your photography posts are so helpful, I’ve linked you in my blogroll! Awww I love your tips and blog colours! My photos always pretty much SSUUUUCK! Oh my – the clamps are brilliant!!! Can’t wait to get some immediately. This is genius, I LOVE that you posted this! Pinning! I’ve been researching other food blogs for the past several months to see the process of what really goes into food blogging. Sure the blog content is key, but I appreciate you actually showing a realistic photo shoot instead of just talking about equipment used. I am a visual person, so this really added value for me. I love the clamp idea!